Bishop Moore College named after the late Rt. Rev. Edward Alfred Livingstone Moore, the fourth Anglican Bishop of the Diocese of Travancore-Cochin is owned by the Madhya Kerala Diocese of the Church of South India. Established in 1964, the college was upgraded in 1967. The college has 98 staff on the faculty. There are 70 supporting staff to take care of students. Many of the BMC students have won awards in sports and games. In the Inter-Collegiate Youth Festivals the college has produced budding artists in classical dance, music and dramatic performance. 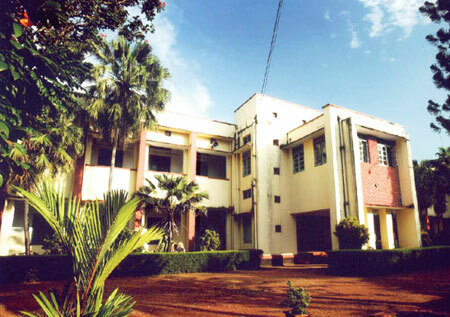 The college runs an efficiently managed Women's Hostel. A well maintained green house, well equipped laboratories and a library with a rich collection of books are some of the things that the college can justifiably be proud of. Bishop Moore College, a premier educational institution at Mavelikara in Alappuzha districtict of Kerala was started in 1964 as a junior college offering two years pre-degree course of the University of Kerala. The CSI Madhya Kerala Diocese got this golden opportunity to uphold the great tradition of the Church Missionary Society in the field of education when the Bishop Rt. Rev. M.M.John, took the historic decision, responding to an announcement of the Kerala Government to start junior colleges in the state. He named the college BISHOP MOORE COLLEGE. The University of Kerala sanctioned under graduate courses in 1968 and the first post graduate course was started in 1982.The College is included in the Sec.2(f) and 12B of the UGC Act. . The college was re-accredited with B grade by the NAAC. The college is dedicated to the motto The Truth Shall Make You Free, desirous of every student here to strive, to seek and to find the eternal truth that will give them everlasting understanding and peace.